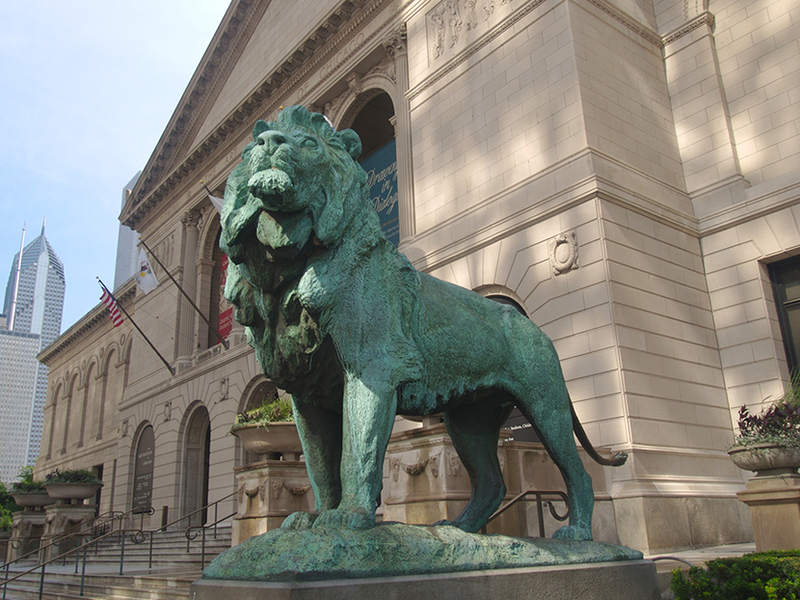 The Art Institute of Chicago Museum Café is the ultimate showcase for art and cuisine. The Art Institute of Chicago features a highly publicized, architectural award-winning restaurant, Terzo Piano, in the Modern Art Wing. I had the task of differentiating the ground floor cafe in the Historic Wing from Terzo Piano, while simultaneously addressing the challenge of navigating and directing visitors to the cafe entrance. I came up with various concepts and a final design solution to make this indirect path of travel both a delightful and memorable experience. Differentiate the cafe in the Modern Wing from the well-known Terzo Piano restaurant in the Historic Wing. Give visitors visual cues that guide them along an indirect route from the Main floor to the cafe entrance on the ground floor. Design with appropriate clearances and material selections to ensure the cafe meets ergonomic criteria, ADA, fire and safety building codes and health codes. Create a memorable and engaging user experience through unique wayfinding. Select appropriate materials, fixtures and furnishings that align with the museum's brand. Reward members for their patronage by featuring a VIP lounge with exclusive member access. Museum guests are enticed to discover a newly remodeled contemporary cafe by following a compelling graphic ribbon. At the end of the journey an exciting new dining destination awaits with action stations, a members only lounge and a turn of the century courtyard. Playful, bold and modern, the Museum Cafe is the ultimate showcase for art and cuisine.